Mark Ruffalo took to Instagram to pay tribute to Dave Toschi, the San Francisco Police Inspector who led the investigation into the Zodiac Killer throughout the late 1960s and 1970s, who passed away last week. Ruffalo portrayed Toschi in the critically acclaimed 2007 David Fincher film Zodiac, which chronicled the SFPD investigation into the unknown killer, who taunted the police and the public by sending encrypted letters to the San Francisco Chronicle. Alongside a photo with Toschi, Ruffalo opened up about his time getting to know the investigator, who led the manhunt for the Zodiac Killer from 1969 to 1978, when he was removed from the case after being accused of forging a Zodiac letter after sending his own fan mail to a local newspaper. Ruffalo revealed that while Toschi was initially wary of the actor, the two developed a mutual respect for each other during their time together. "Dave Toschi just passed away. 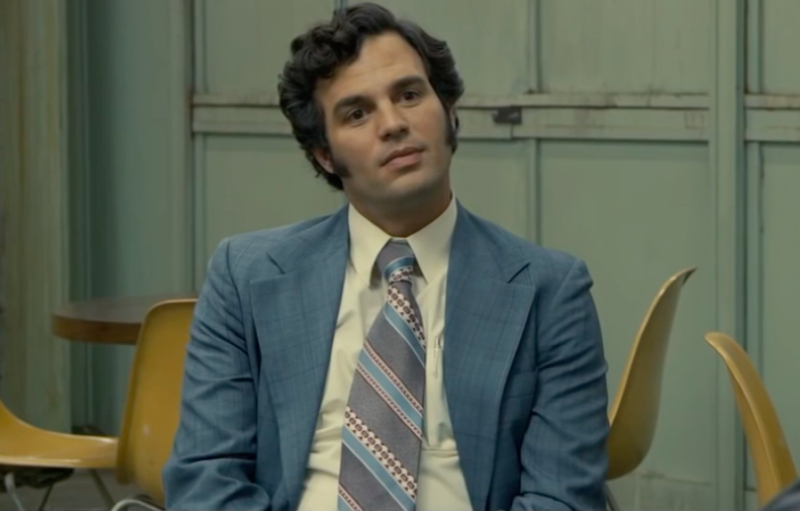 I played him in Zodiac and got to spend a couple intense days with him," Ruffalo wrote. "I had 4 pages of questions to ask him. I spent a day with him at his work and we had dinner together and then the next day. As a cop he was naturally suspicious of me but in time we found a lot of commonality in our Italian roots and work ethic." "I really came to admire him not only for what he had done as a homicide cop but for the sense of responsibility he carried for the well being of the public his commitment to the rule of law and for the grief he carried about not ever capturing the Zodiac killer." Toschi’s investigation into the Zodiac Killer became an international sensation, and the former inspector even served as the inspiration for Clint Eastwood’s titlular character in Dirty Harry. But while the investigation made Toschi a national figure — which may have partially led to his downfall after he admitted to sending fan mail about himself to a San Francisco newspaper, while maintaining he never forged a Zodiac letter — the case, which remains unsolved, forever haunted the former inspector. Ruffalo went on to praise Toschi for trusting him to portray the former inspector during one of the most complicated and difficult periods of his life. "He was a true tragic hero. He lived [an] exemplary life and was haunted by his experience of the investigation and the political nature of the case," Ruffalo added. "As good and complicated a hero as any other I have gotten the chance to play. I’m honored to have known him, albeit briefly, to have played him and am grateful for the trust he put into me. Condolences to his family and his daughter who he clearly adored and spoke so lovingly of." Toschi reiterated his frustrations about not solving the case a few years after the film came out, telling the San Francisco Chronicle that while he enjoyed Ruffalo’s portrayal of him in the film, whenever he watches the film, he gets angry with himself over not solving the case. We can only imagine how painful it was to relive the experience of not catching one of the most notorious serial killers in American history. But we’re so glad Toschi shared his experience with Mark Ruffalo for the film, which truly captures how difficult of a case the Zodiac investigation was. We’re sending our thoughts to Toschi’s family.